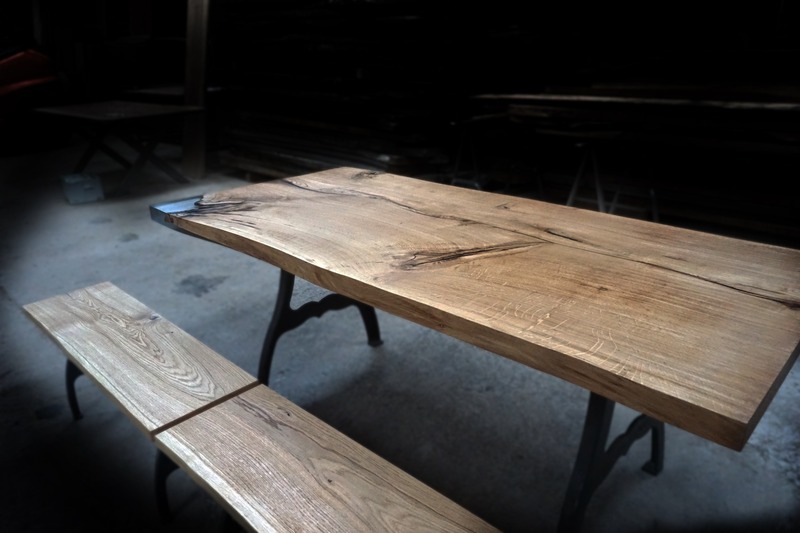 Benches are an informal way to complement a dining table; better still, a high quality supporting act to bring out the natural beauty of a bespoke Earthy Timber family table. Ideal to accommodate adults and children alike and offering flexible seating patterns for your guests, bespoke table benches move away from traditional dining into creative style. These are benches that balance your interior design, unifying your theme. They are practical, too. Our feature benches can be used in other rooms in your house of course, perhaps in your hallway or any interior space where more “casual” seating may be required. A custom-made table bench from Earthy Timber showcases our bespoke wooden surfaces at their absolute imperfect – yet perfect – best. The natural patterns within timber, the gaps, whorls and striations that tell the story of the wood are preserved and enhanced, with subtle, muted tones or if you prefer, warm hues. A striking piece, an Earthy Timber bench will create a breathtakingly beautiful impact, with its live edges preserved or squared, or perhaps the corners of the wood encapsulated in high quality clear resin. Imagine: light coming through your kitchen window on a sunny day, or a crisp cold morning, catching the fine sheen of your table bench, with your preferred specialist finishings. Whether you have set your heart on a large, single stave bench or one of more modest proportions, let us choose just the right piece for you. We oversee the entire process, from tree to bench, enabling us to apply our skill and expertise at every stage. At Earthy Timber, we design the most beautiful yet practical legs and plates that will offer ideal, robust support for your bench. Read more about our table legs. Our all-in-one service (from tree to finished product) means that your work of art bench will be created with the utmost care and attention applied at every single stage of the process. We operate a vacuum kiln on site. Each wooden plank is subject to a skilled, procedure to reduce its moisture content to below 10%. It is only at this low level of moisture presence that wood remains stable. And, it will stay that way for generations to come. Please use our contact form to give us information on your table bench project. We are looking forward to hearing from you.